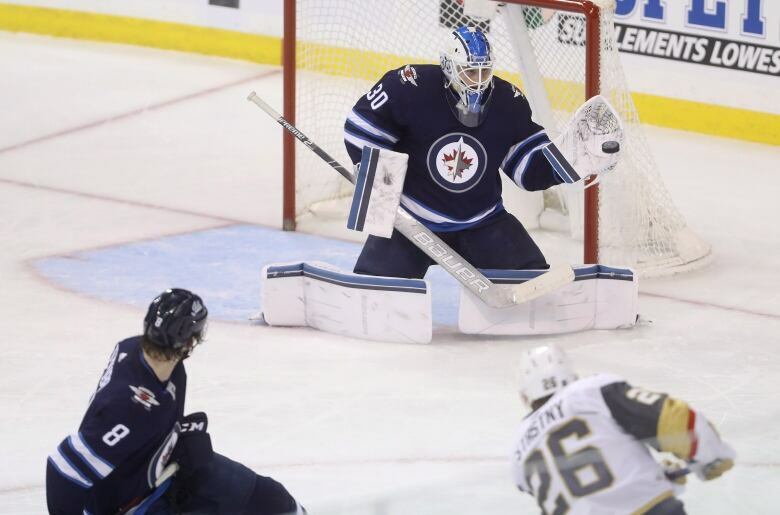 Kyle Connor scored twice and added an assist as the Winnipeg Jets beat the Vegas Golden Knights 4-1 on Tuesday. Laurent Brossoit didn't mind facing a barrage of pucks. He quite enjoyed it, actually. 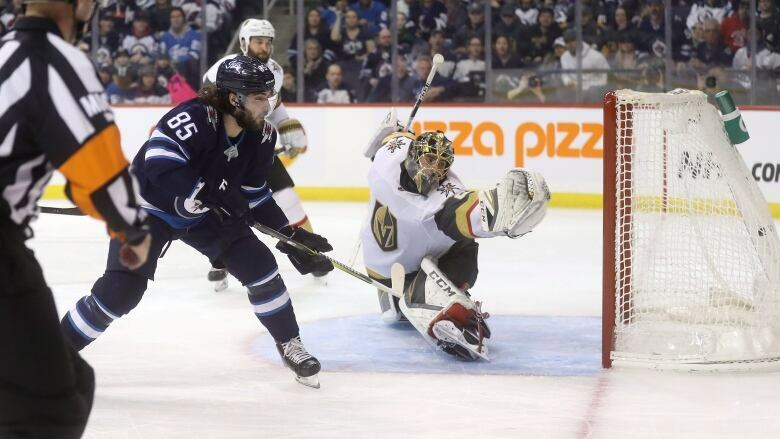 The Jets backup goalie stopped a franchise-record 26 shots in the second period and made a season-high 43 saves in Winnipeg's 4-1 victory over the Vegas Golden Knights on Tuesday. Brandon Pirri scored and Marc-Andre Fleury made 22 saves for Vegas (28-17-4), which is 8-2-0 in its last 10 games. Perreault scored an unassisted goal at 16:23 after he got a loose puck and skated across the front of Fleury, sending a backhand shot over his glove. The goal drew jeering chants from the crowd of "Fleury, Fleury." Winnipeg's lead was also surprising considering the Golden Knights were carrying over their sixth power play of the game into the third period.